[S7243] James Canning, "re: Canning Family," e-mail message to Darryl Roger LUNDY (101053), 31 August 2014. Hereinafter cited as "re: Canning Family." After her marriage, Barbara Godfrey was styled as Viscountess of Donegall on 12 October 1790. 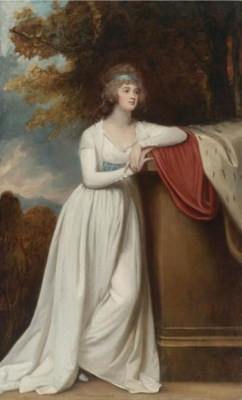 From 12 October 1790, her married name became Chichester.1 After her marriage, Barbara Godfrey was styled as Marchioness of Donegall on 4 July 1791. [S203] Announcements, The Times, London, U.K., 8 June 2005. Hereinafter cited as The Times. [S206] Announcements, The Daily Mail, London, U.K., 22 March 2005. Hereinafter cited as The Daily Mail.